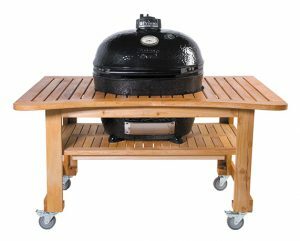 If you do not plan on building an outdoor kitchen to house your Primo ceramic grill/smoker, you may require a freestanding support base of some type. 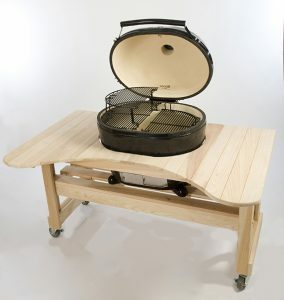 Kamado cradles and carts can be found in a variety of styles and made to fit different models of grill heads. 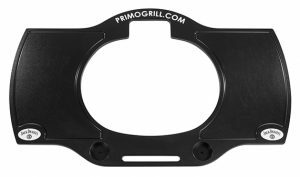 They are a great mobile solution for your backyard grilling demands and provide an increased working height, offering an ease of operation to the user. 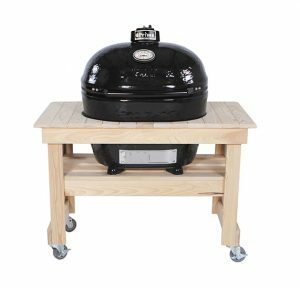 The lightweight cradles made from powder-coated steel with wheels will secure your Kamado grill in an affordable fashion, while offering the portability you are looking for on your patio or deck. The larger, more stable metal and wooden tables provide an opening for your grill. 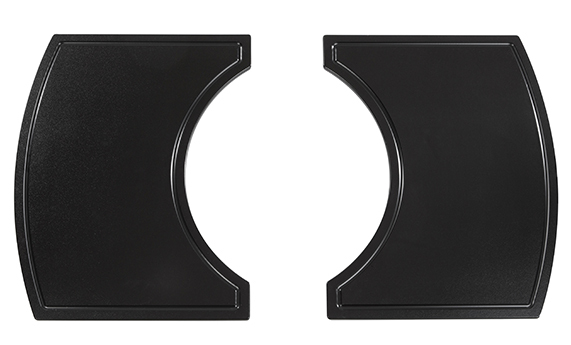 These offer a larger working surface on either side of your installed Kamado. 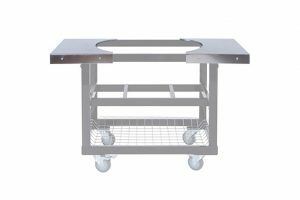 Fully enclosed, weatherproof stainless steel and powder-coated rolling carts are available and feature a variety of amenities including double access doors, pullout storage drawers, folding side shelves, and heavy-duty castor wheels. These are available in numerous sizes and can even be custom made to your specifications and storage solution needs. Our sturdy metal cart with a lower basket sports a stainless steel top. 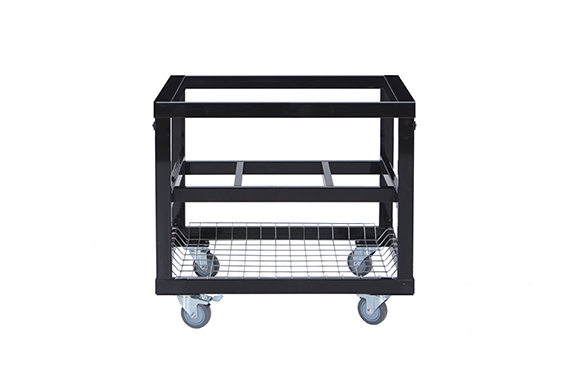 It is our most popular cart and offers durability, protection and mobility. The cart measures 45″ wide by 25″ deep. It’s a perfect height at 32″ and has two locking casters in the front. Comes in specific models for XL 400, LG 300, JR 200. 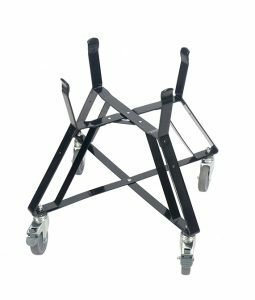 Our sturdy metal Cart Base is intended for use with our stainless steel and poly tops. 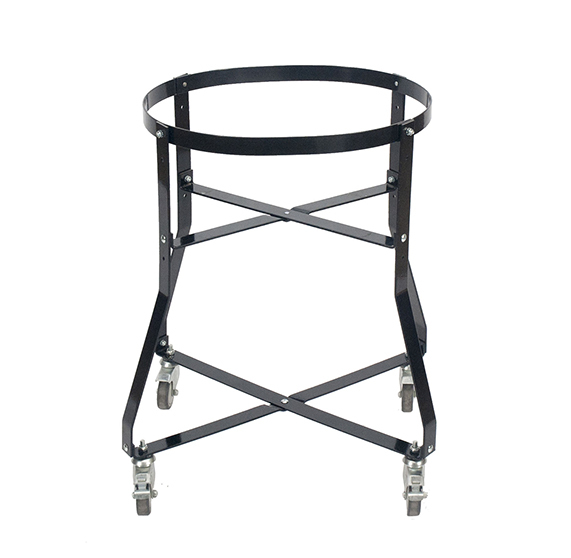 It offers a lower basket and offers durability, protection and mobility. The cart measures 45″ wide by 25″ deep. It’s a perfect height at 32″ and has two locking casters in the front. Comes in specific models for XL 400, LG 300, JR 200. 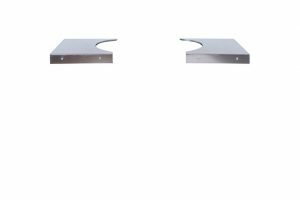 The table top sides are constructed of brushed stainless steel for years of use. Available for Oval XL 400 and Oval LG 300 and Oval JR 200. Compatible with Primo Metal Cart Bases Oval XL 400 and Oval LG 300, and Oval JR 200. Constructed of the highest marine grade materials and UV Inhibitors for the ultimate in weather resistance. FDA approved food-safe and resistant to stains, mold and mildew. The Jack Daniel’s “Old No. 7″ logo is embedded in each front corner and includes two molded cup holders. Table top dimensions 58″ x 36”. Use with Cart Base. Constructed of the highest marine grade materials and UV inhibitors for the ultimate in weather resistance. FDA approved food safe and stain, mold and mildew resistant. The Jack Daniel’s “Old No. 7” logo is embedded in each front. Use with Cart Base. Constructed of the highest marine grade materials and UV inhibitors for the ultimate in weather resistance. FDA approved food safe and stain, mold and mildew resistant. Includes two molded cup holders in the front. Comes in specific models for XL 400, LG 300. Table top dimensions 58” x 36”. Use with Cart Base. Constructed of the highest marine grade materials and UV inhibitors for the ultimate in weather resistance. FDA approved food safe and stain, mold and mildew resistant. 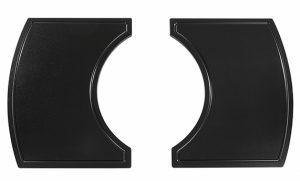 Includes two molded cup holders in the front. Comes in specific models for the Oval XL 400 and Oval LG 300, JR 200. 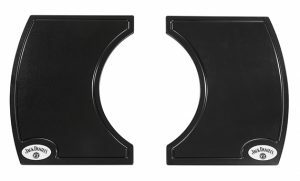 Use with Cart Base for the Oval XL 400 and Oval LG 300, for Oval JR 200. The metal cradle is powder coated for weather resistance and includes two locking casters and two standard casters. Assembly required. 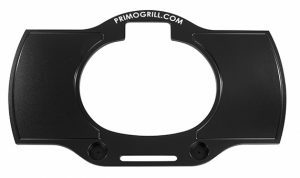 Available for Primo Kamado ceramic grill. 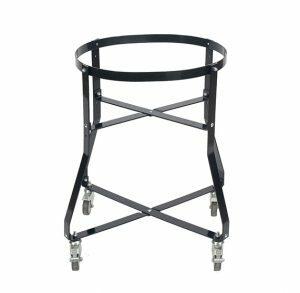 The metal cradle is powder coated for weather resistance and includes two locking casters and two standard casters. Assembly required. Available for Primo Oval JR 200. Handmade tables are designed for durability and beauty. Comes unfinished. Two locking casters in the front. Ceramic shoes included. Available in specific models for XL 400, Oval LG 300, JR 200. Hand-made table are designed for durability and beauty. Comes unfinished. Two locking casters in the front. Ceramic shoes included. 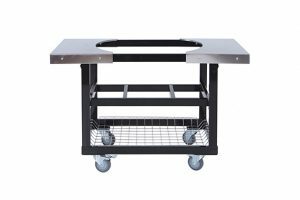 Available in specific models for XL 400, JR 200, Kamado. Designed for limited space on a deck or patio while still offering the beauty of a wood table. Comes unfinished. Ceramic shoes included. Available in specific models for XL 400. 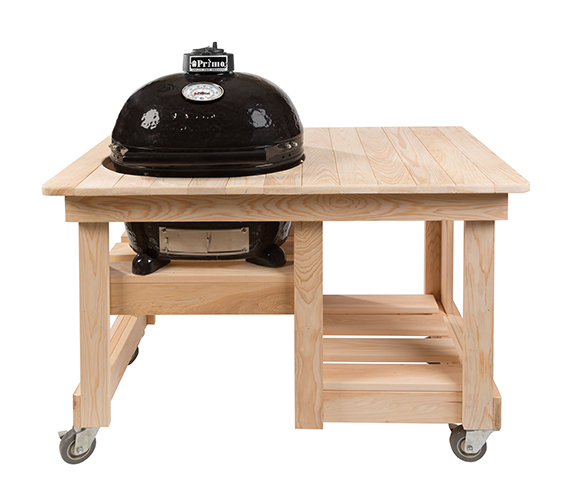 Designed for the outdoor chef who needs more space and who enjoys the beauty of a wood table. Comes unfinished. Ceramic shoes included. Available in specific models for XL 400, LG 300, JR 200. Designed for the outdoor chef who enjoys the beauty of a wood table and would like the option of cooking on an Oval XL 400 or an Oval JR 200 in one table. Two locking casters in the front and two standard casters in the back. Comes unfinished. Ceramic shoes included.